P2P Development: Do you need a lawyer? A bus is being organized right after the talk to the Museum of Fine Arts in Valletta to view the demo in a local museum. Booking at the Smartmuseum booth is required. Only for those participants who registered via the registration form. On site registration: subject to availability. 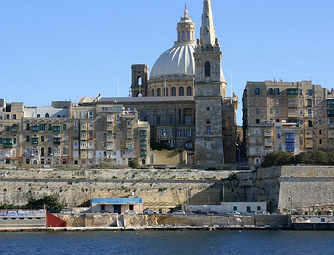 The most popular tour covering three different periods of Malta's golden history in one day. Our first visit during this tour is Valletta, here we include the Barraka Gardens which offer stunning views of the Grand Harbour and magnificent fortifications, a walk down Triq Republikka where you can admire numerous historical buildings built by the Knights of St. John including the Aubereges, the Grand Masters Palace and the St. John's Co. Cathedral, the church of the order and also home to Caravaggio's masterpiece "Beheading of St. John" amongst other treasures. After our tour of the capital we will then visit the south west of the island to a rural area where the ancient Hagar Qim Temple site stands circa. 3300BC. This temple is particularly interesting as it has the largest and heaviest megaliths, some weighing a staggering 20 tons. We then continue to our next stop and an opportunity to experience a little local culture when we visit the pretty traditional fishing village of Marsaxlokk. Marsaxlokk fishing village is characterized by low lying buildings and the colorful traditional fishing boats known as the 'luzzu'. A small market lines the seafront and if you would like to sample local fresh fish there are plenty of good quality restaurants to choose from. Our final stop during this tour will be to Mdina. Mdina is a unique medieval city, built in the 9th century, the city was built on a plateau in the centre of the island and from the high bastion walls you can admire stunning views of the island. This medieval city is a maze of narrow alleys and magnificent architecture, the only way to appreciate this special city is to walk through it and admire its living history. Our tour at this point comes to an end and we head back to the hotel. Carlos Eduardo Tosin and Luiz Lima Jr. Applying Inductive Logic Programming to Self-Healing Problem in Grid Computing: Is it a Feasible Task? Parallel Computer Technology - A Solution for Automobiles?